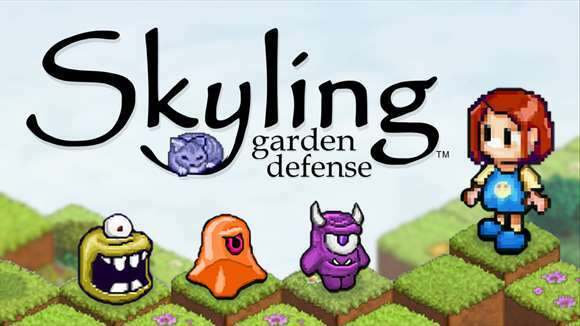 Skyling: Garden Defense, developed by Mighty Studios is a 2D, isometric maze game that has blooming plants, colorful monsters and sleeping cats. There are 30 gardens that need your help in rescuing. Old School and veteran Arcade game players will feel right at home playing this game as it may remind you of your classic games. The story of the game is that you help a young Skyling named Bloom restore each garden that have been overrun with Blight Monsters. The gardens feature switches, gates and elevators you can use to avoid the enemies looking to take you down. There are sleeping cats who can be your friends in the garden that you can pick up and move throughout the garden to keep the Blight Monsters away, or use them to hold down switches. Skyling is a fun casual game, the game is very accessible and welcomes players into its world, however just one minor improvement will make it even better, including adding more levels to the fun. All around great enjoyable game! XBLN Live Review Launches Today!